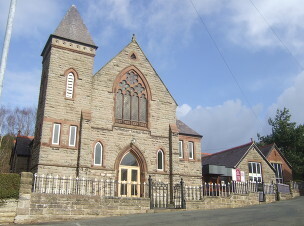 Kelsall OPAL Club meets every Monday (except Bank Holidays) at the Kelsall Methodist Chapel, Chapel Bank, Kelsall, Cheshire CW6 OQS. The Kelsall OPAL Club phone number is 07531 563 107. The club caters for men and women from Kelsall and the surrounding areas who welcome a chance to get out of their own surroundings and spend time with other people, making new friends, enjoying a varied programme of activities and sharing a hot, two course lunch that is cooked on the premises. Transport within the local area can be provided by arrangement with one of volunteer drivers, or members can make their own arrangements. 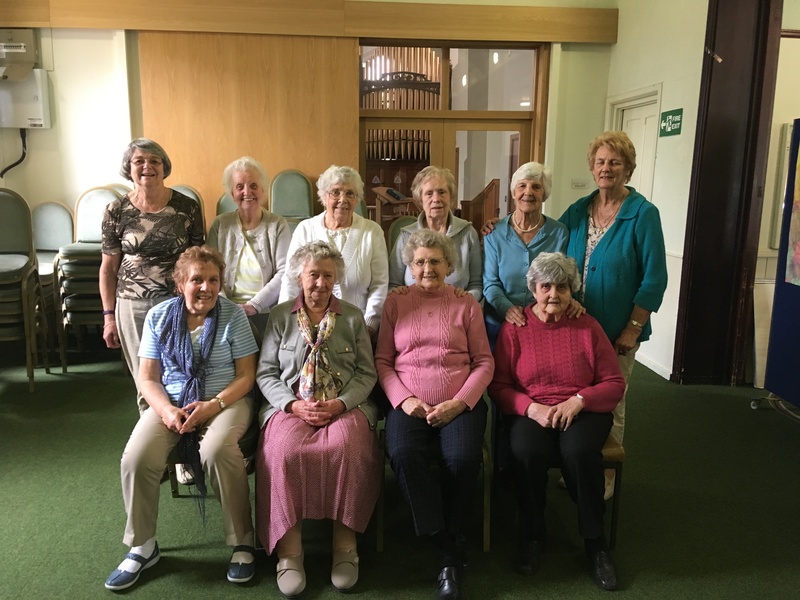 The time and effort provided by our volunteers is vital to the success of Kelsall OPAL Club. Some volunteers drive our members to and from the club; some do the cooking and/or help in the kitchen; and others help the members in a general way to enjoy their day with us. 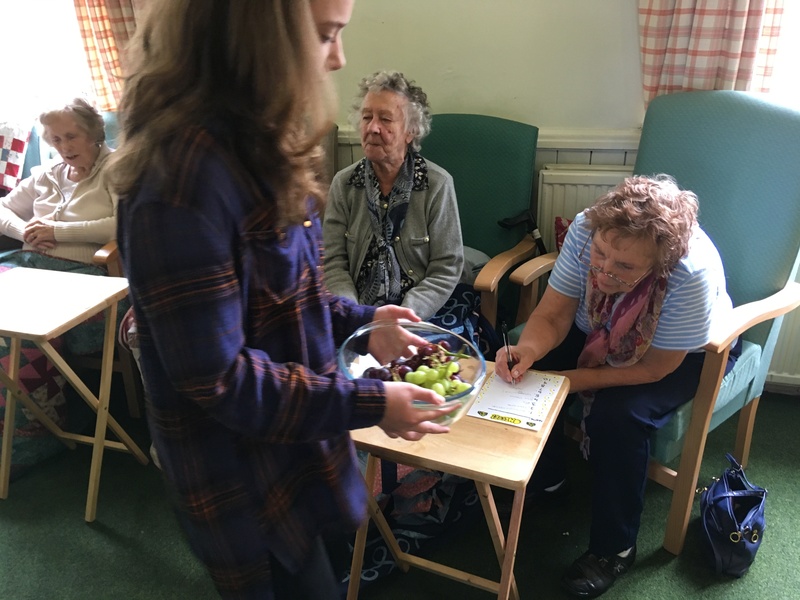 Most volunteers give their time on a fortnightly or monthly basis for all or part of the day – whatever suits them. Kelsall members putting their taste buds to the test in a cheese quiz. 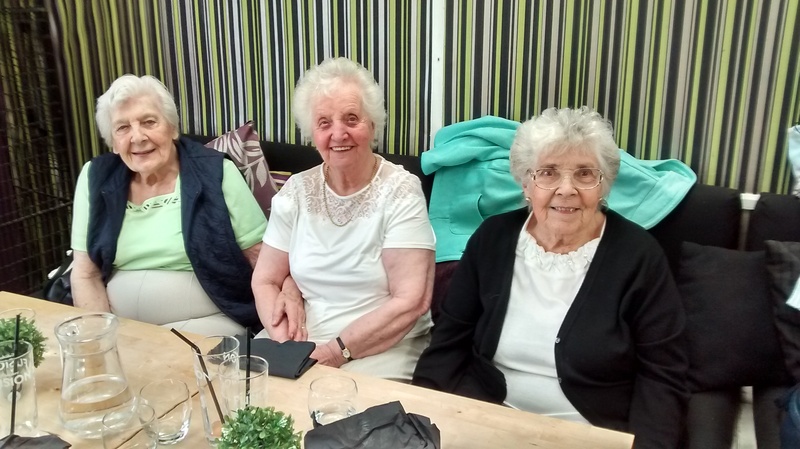 Kelsall OPAL Club celebrated its 27th birthday on 22nd May with lunch out at The Lounge. 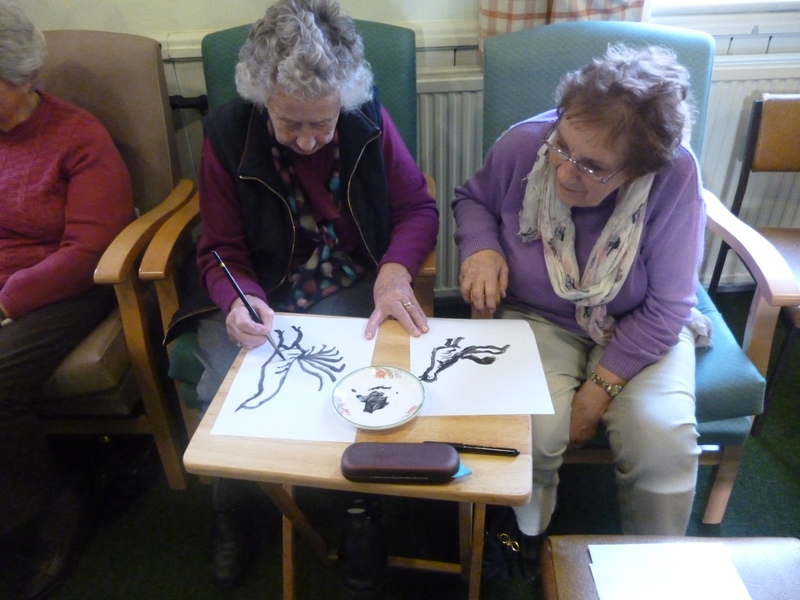 Kelsall members celebrated Japanese New Year with a talk from Cathy Peel about Japanese Culture had a go at painting the Rooster- 2017 is year of the Rooster. Some of the club members are seen here enjoying lunch out in July 2016. 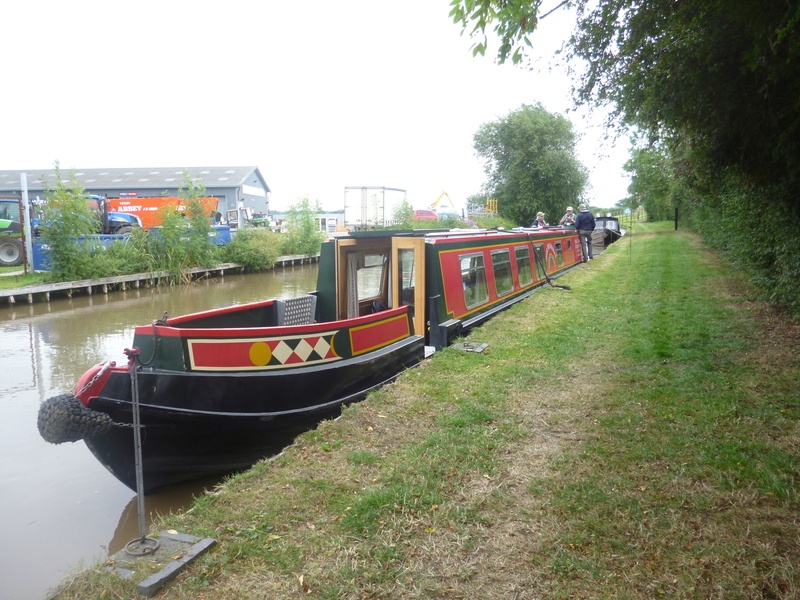 Our canal boat moored at Tattenhall. Club members had a great time on their Annual Canal Boat Trip in September 2016. The Boat sets sail from The Cheshire Cat and goes up the Shropshire Union canal to Tattenhall, where we have a picnic and a stroll before then returning home. 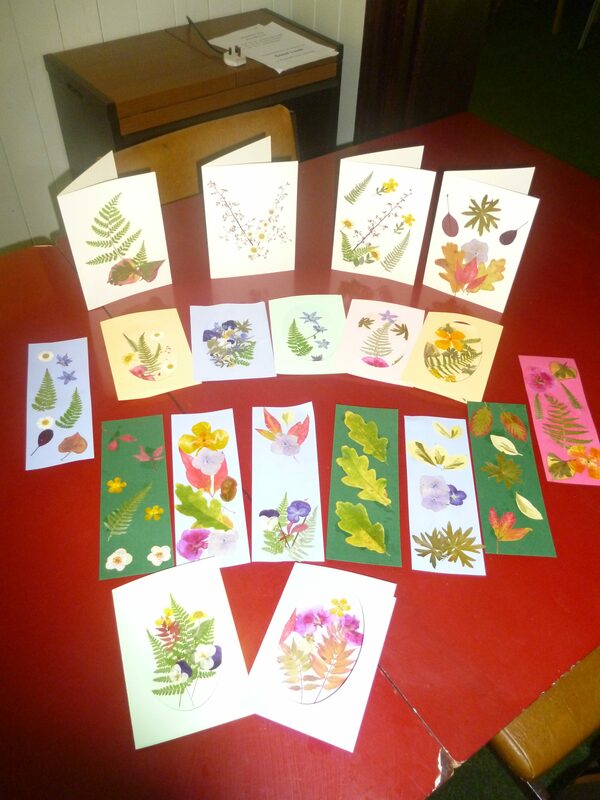 These excellent pressed flower cards were created during a craft day in October – a handy microwave flower press was used. If you would like to know more, or would like to become a volunteer, please give Zoe a call.